100 S. 2nd St. Photo by Jeramey Jannene. 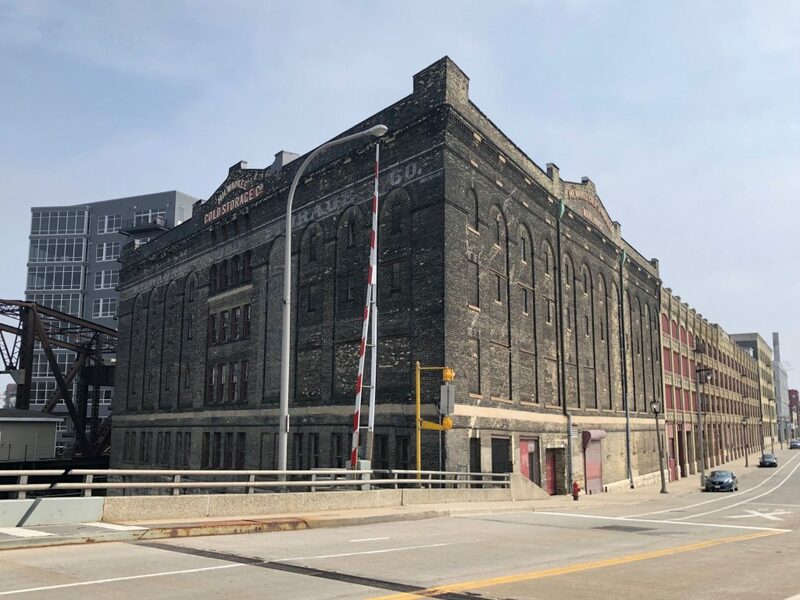 Developer Joshua Jeffers has acquired the Milwaukee Cold Storage Co. Building at 100 S. 2nd St.
J. Jeffers & Co. purchased the five-story, 71,510-square-foot building for $300,000 from Brian Jost and plans to redevelop it. No specific plans have been released, but Jeffers said the building will be restored under the historic preservation standards set out by the National Park Service, as Alex Zank reported in BizTimes. 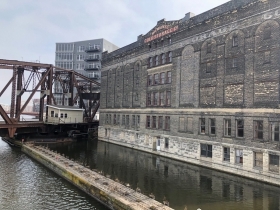 Following the standards would indicate Jeffers intends to leverage historic preservation tax credits to finance a portion of the development. 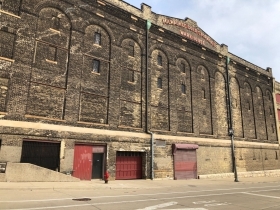 The Cream City brick warehouse sits along the south bank of the Menomonee River just west of the river’s confluence with the Milwaukee River. The river frontage on the property is encumbered by footings for the railroad swing bridge just northeast of the building. 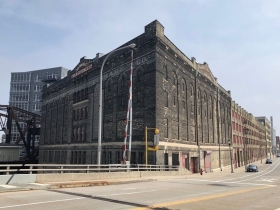 Jost owns a number of properties to the south of the building Jeffers acquired, but recently dropped an application to open an event venue in the complex. The plan to marry the redevelopment of the Martin Luther King Library branch with the redevelopment of a historic theater down the street is treading water as the Milwaukee Public Library Board has expressed concern over the cost and location. The plan proposed by Young Development Group and the Haywood Group would see the historic Garfield Theatre at 2933-2957 N. Dr. Martin King Dr. redeveloped into a mixed-use building with 16,000 square feet for the branch library as well as apartments and commercial space, Tom Daykin reported in the Milwaukee Journal Sentinel. The current King Library, at the corner of N. Martin Luther King Dr. and W. Locust St., would be torn down, with a three-story apartment building constructed in its place. But the library’s costs would be $132 per square foot, an amount greater than the last two library redevelopments. There was also concern about the visibility of the library if it is situated in the middle of the block. Daykin reported that the board voted to seek more information on the project to determine whether to move forward with the project or not. Wangard Partners has been eyeing a site in the Harbor District and is planning a mixed-use development that includes a riverwalk extension. The site at 1958-1970 S. 1st St. is a 2.3 -acre parcel and Wangard is looking to build approximately 200 apartments and 10,000 square feet of commercial space there, Zank reported in BizTimes. The development could include approximately 500 feet of new riverwalk along the Kinnickinnic River. The city adopted design standards for a Harbor District riverwalk in late 2018.